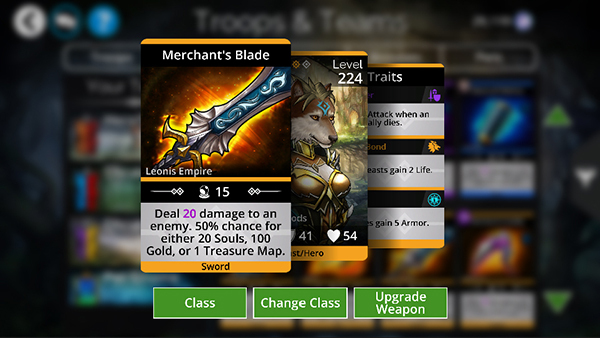 * Once a Hero Class is unlocked, and set as the current Class, players can start to earn Champion levels, by using the hero in a battle. 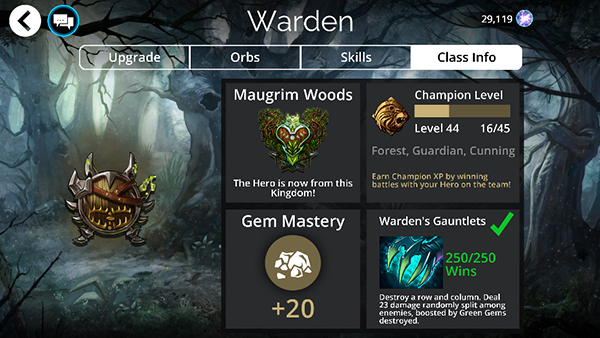 Champion XP is only earned if hero is used in battle, and for the current class equipped with the hero. * Class Events require Sigils to play. 8 Sigils are given for free in 1-day events, with 4-per-day in the 3-day variations. Valravens may drop more Sigils once you’re in battle. * Affixes count as spell for status effects like Faerie Fire, etc. * There is a new tutorial for Account Linking – to help players protect their accounts from being lost, we have tutorial in game that appears after level 20 to suggest setting up account linking. Good news! 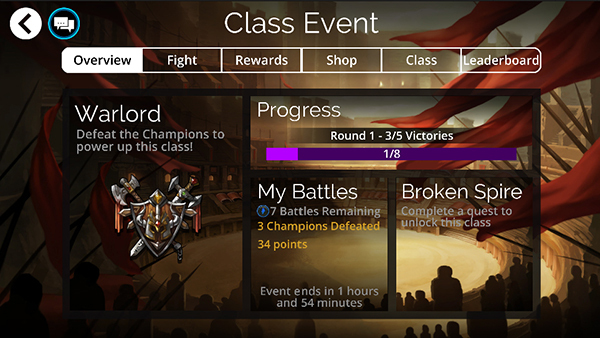 Our achievements are available on PS4, XB1, Steam and Google Play. 25 Comments ON " 3.5 Patch Notes "
How come a troop we increase from rare, for example, to ultra rare and the power says collect x amount of ultra rare and it says I didn’t get any? Do I have to wait until I earned from cheats or special events? …so are you saying I just totally wasted a load of trait stones and orbs last week to unlock my hero’s traits?? Most of my kingdoms lost power levels. why has hopes crescent damage gone from 25 to 23? this means I can no longer one shot ridiculously OP teams that we have now. before I had a slight chance and now I have none. I lost levels on kingdoms, what the hell! Game in steam dont running, after updating. the casting images are not centered anymore. 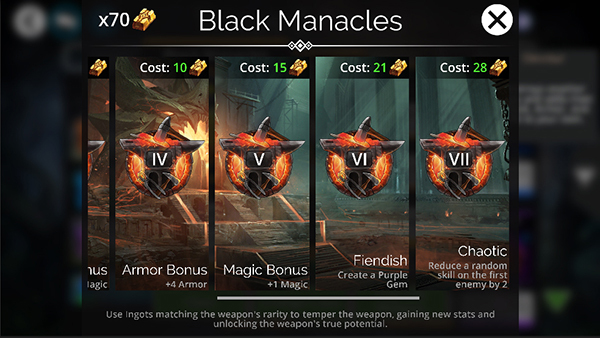 is it normal that kingdom power triple tribute chance is no longer active and now capped at 20% instead of 30 % as of when the patch went live? I noticed it almost immediatedly and frankly that extra 10% made a big difference. If that is the case could you guys fix it as soon as possible. P.S. problem is on ps4 i do not know about other versions. Why has nothing been done to make the arena more competitive at higier levels . Alevelraises, human doesn’t , the least you can do to make it somewhat competitive is allow the human team to have their traits. hallo, ihr habt mir schön meine besten decks mit euerm blöden update kaputt gemacht. gegen alle grösser gegner, die ich vorher geschlagen habe, hab ich jetzt keine chance mehr. ich kann nur noch gegen kleinere gegner gewinnen. das macht nicht wirklich spass. I have the same issue as Melissa Bates. After the latest update was applied, my game will not load (XBOX One). I also lost kingdom levels. 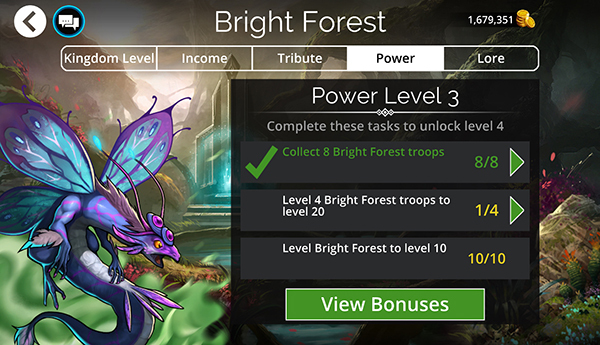 It says I’ve achieved level 5 but I only receive the +1 skill bonus, when I reach level 6. WTF!? And now I can’t reach level 6 because I don’t have all the troops. TERRIBLE DESIGN. @Melissa Bates: I un-installed and re-installed the game on my XBOX One and it cleared the “loading screen” freeze issue. Un- install just the game itself, and be sure to keep your “saved data”. Alguien podria decirme como puedo actualizar el juego.